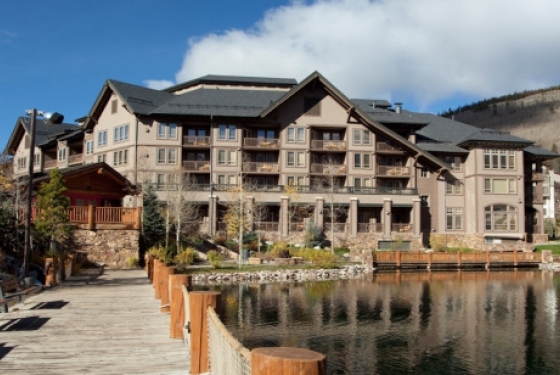 Year-round ski and golf resort located 75 miles west of Denver via Interstate 70. 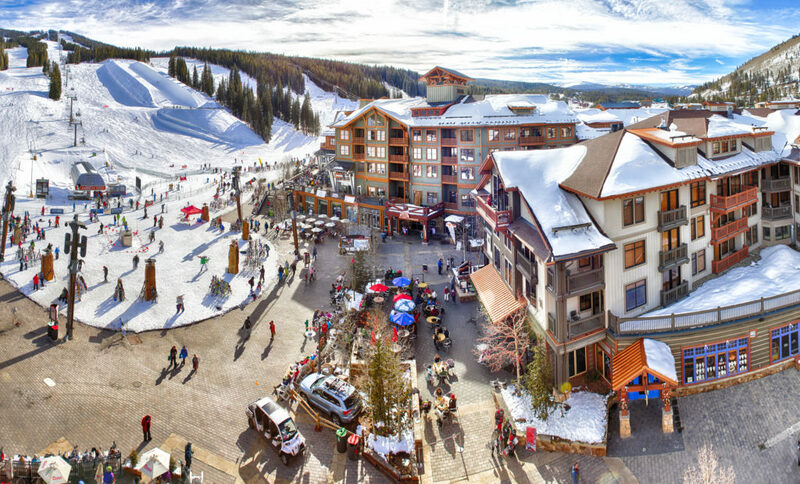 Copper operates the skiing/golf, lodging, conference center, banquets plus many of the restaurants and shops in our pedestrian village. Spa services at the Copper Athletic Club. Organizing an event soon? Treat your guests with the panoramic views of the Rockies. 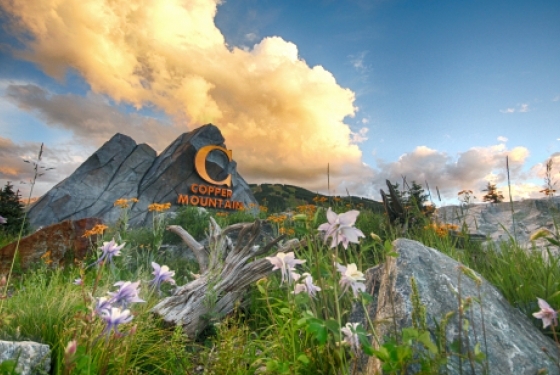 Immerse co-workers, family members, and friends in natural beauty here at Copper Mountain Resort. 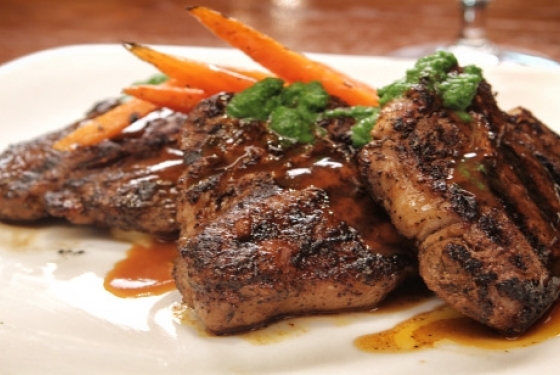 Retreat to Copper for any occasion; reunions, weddings, conferences, or just big group shindig. 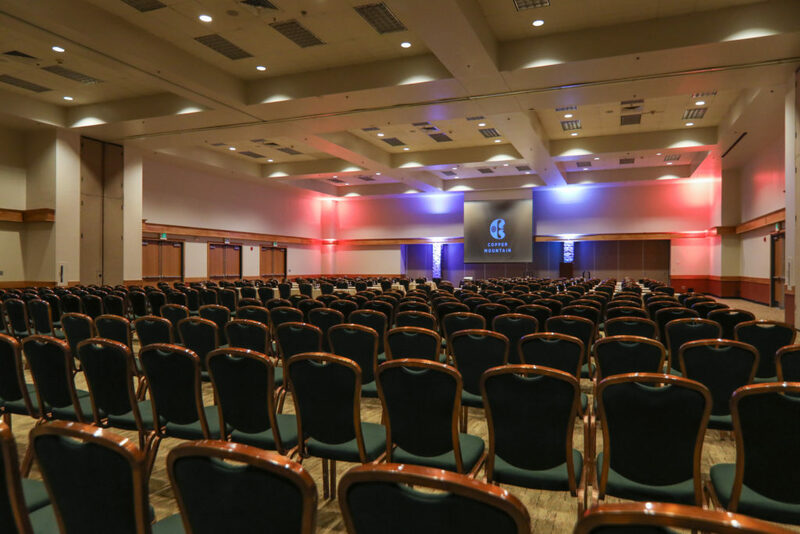 Meetings – Here you’ll find world-class conference facilities in the center of a breathtaking mountain setting. They’re not tucked away on the fringes of the resort, but right in the middle of it. 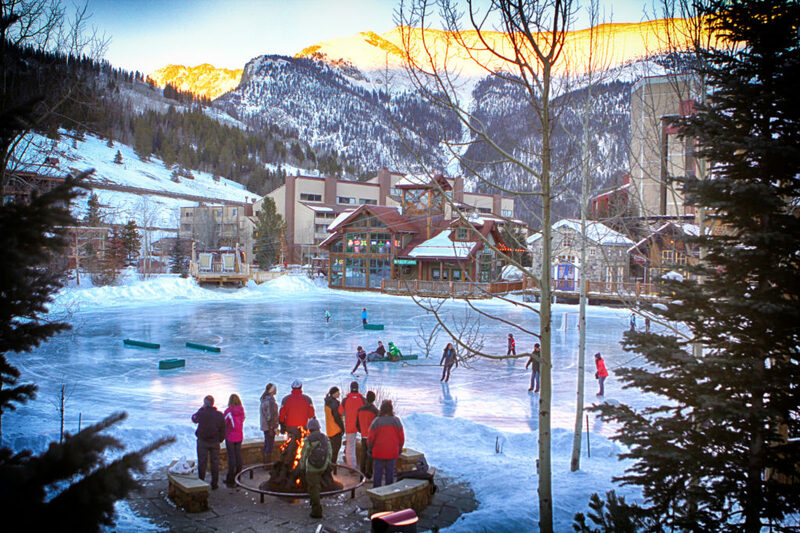 Leisure Groups – Whether you are looking for a single or multi day getaway CopperMountain is pleased to offer discounted rates for your group of 20 or more. Our Group Sales and Service Teams will build a custom package guaranteed to create a memorable event for your social club, family, friends, church or school group. 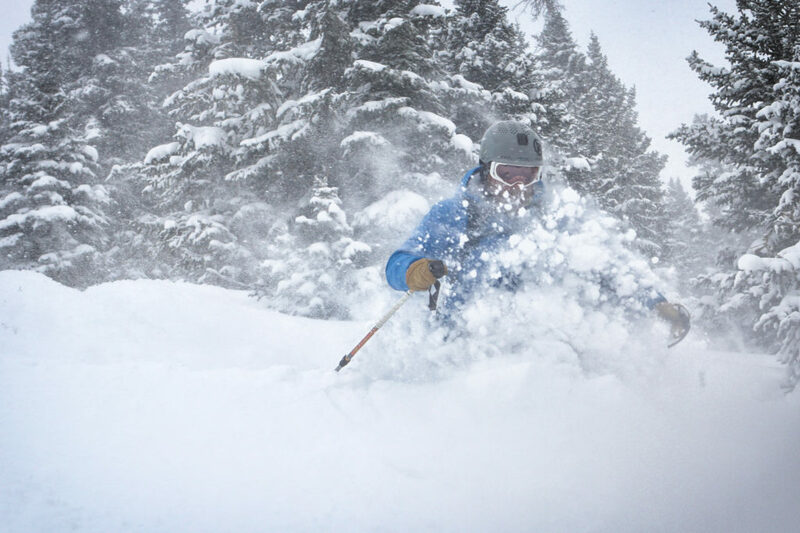 Discounted rates to include lift tickets, lodging, equipment rentals, activities, golf, dining, and tubing. Reunions – Whether you are trying to organize a family, class or military reunion, let us help you at Copper Mountain Resort. 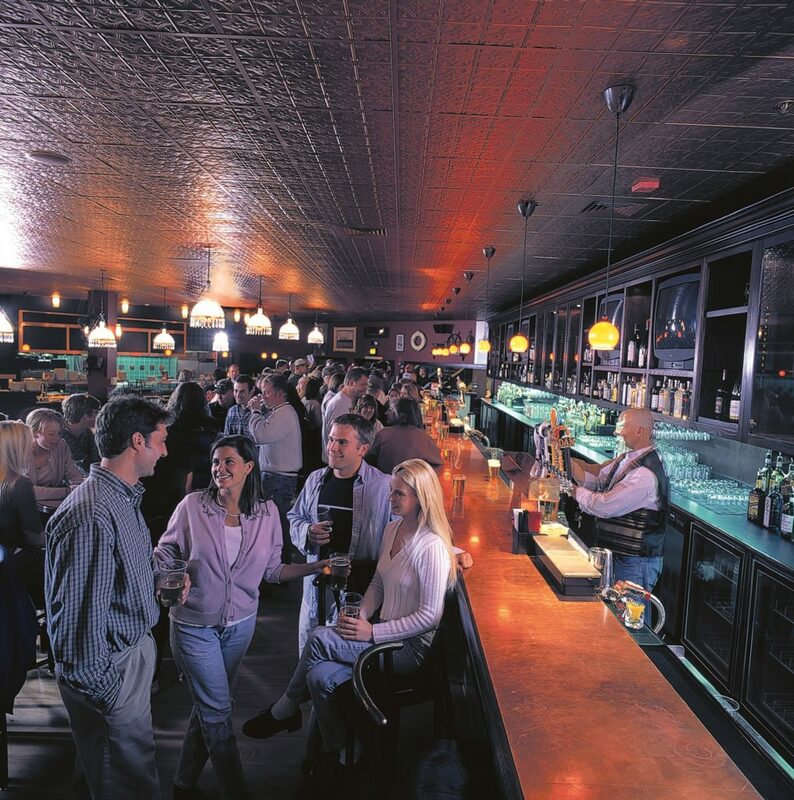 Our sales manager can help you locate the perfect lodging and meeting space for your reunion gathering at affordable group pricing. Weddings – Situated with 360-degree views of the majestic Ten Mile Range, Copper Mountain provides four spectacular ceremony settings. From the naturally decorated mountaintop celebrations to the dramatic interiors of the intimate chapel, Copper Mountain offers unforgettable venues with unsurpassed service. Guest Accommodations feature one, two and three bedroom condominiums. More than likely, your meeting attendees have stayed in so many hotels that the rooms have all blurred together. Give them something different to show your commitment. Priced similar to other resorts’ hotel rooms, our condominiums offer a full kitchen with a spacious living area, fireplace and separate bedroom/bath. Help them feel at home, even when they’re far from home — and watch their enthusiasm climb higher. 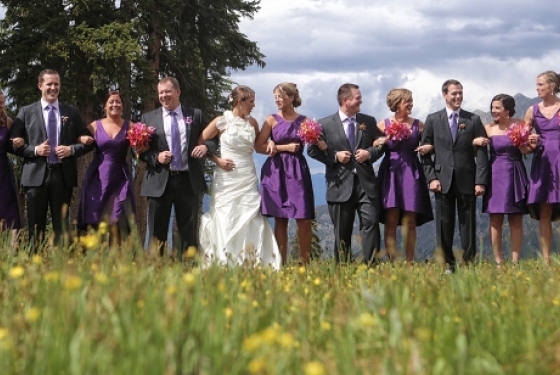 Located in the heart of the Rocky Mountains just 75 miles west of Denver, Copper Mountain Resort is an ideal location for your wedding, honeymoon or other special occasion. Iconic Colorado scenery combined with first class service makes it easy to create a beautiful and unique celebration for you and your partner. 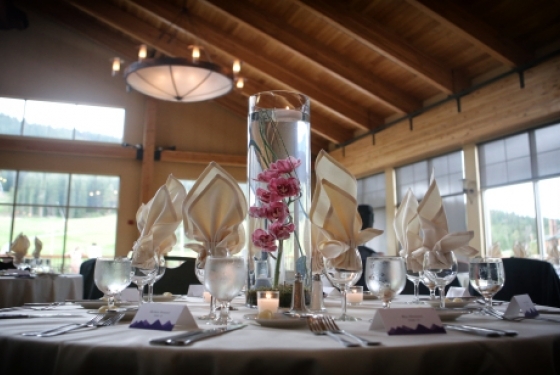 Our destination is designed to accommodate every part of your special day, from rehearsal dinners to ceremonies and receptions. Copper Mountain’s outdoor ceremony sites include a naturally decorated mountain top venue for that once in a lifetime photo opportunity, as well as a beautiful base area site that features views of our expansive golf course and the Ten Mile Range. Copper’s intimate chapel is available for those looking for a more traditional, indoor ceremony. Additionally, The Mezzanine is a quiet and convenient indoor venue for couples in search of the perfect mountain lodge experience. When it’s time for the reception, choose Grand Hall for larger celebrations, JJ’s Rocky Mountain Tavern for rustic mountain charm, or C.B. Grille for an intimate and elegant experience.